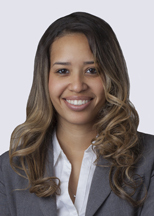 Jessica Herron is a corporate attorney who focuses her practice on private equity and securities and corporate governance matters. She represents clients with mergers, acquisitions, financings, transactional matters, private and public securities offerings, and compliance and disclosure under Securities and Exchange Commission (SEC) rules and listing standards. $180 million initial public offering of common stock (Nasdaq) for bank holding company.